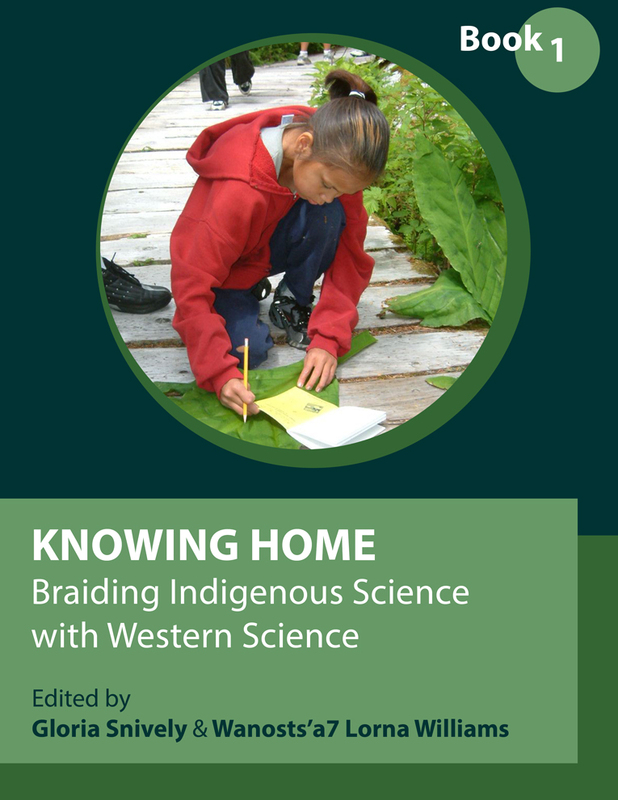 Knowing Home: Braiding Indigenous Science with Western Science, Book 1 by Gloria Snively and Wanosts'a7 Lorna Williams is licensed under a Creative Commons Attribution-NonCommercial-ShareAlike 4.0 International License, except where otherwise noted. Figure 7.1: Northern style Tluu dugout canoe. Photo by Jessica Bushey (2016). Courtesy of Museum of Anthropology, University of British Columbia, Vancouver, Canada. Figure 7.7: Skidegate Village. Photo courtesy of Canadian Museum of History. Figures 7.8 (PN 1069) and 7.9 (PN 2321): The framework of a large house with fluted beams in the Kwakiutl village of Mamalilikulla on Village Island, near Yalis (Alert Bay). Photos courtesy of the Royal BC Museum. Figure 11.7: Doll (c.1890). Photo courtesy of American School, (19th century) / Detroit Institute of Arts, USA. Figure 11.8: Headdress. Photo courtesy of Alaska State Museum. Snively, G., & Williams, Wanosts’a7 L. (Eds.). (2016). Knowing Home: Braiding Indigenous Science with Western Science. Victoria, BC: University of Victoria is used under a CC-BY-NC-SA 4.0 International License, except where otherwise noted. For questions about this book, please contact the Copyright and Scholarly Communication Office, University of Victoria Libraries at press@uvic.ca. Cover image: Student Measuring Skunk Cabbage. Photo by Edōsdi Judith C. Thompson (2003). CC BY-NC-SA 4.0 license.